Irish oil and gas explorer Providence Resources is evaluating whether it can generate electricity from billions of barrels of boiling water under the sea bed. The green energy project would be revolutionary for the Irish energy sector - the first large scale example of its type here, with Ireland well behind on meeting its carbon emissions targets. The boiling water is located 3,000 metres below the sea bed, at a location where it gets heated by its proximity to the earth's crust. The project would be a type of "geothermal" energy - energy derived from the heat under the surface of the planet. 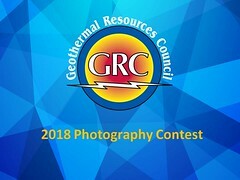 A number of significant players in the geothermal energy sector have expressed an interest in the idea and are due to travel to Ireland next month to discuss how it could be progressed beyond the research stage. The boiling water is located in an area of the Porcupine Basin off the south west coast of Ireland.